While a few days ago we started to find our local supermarket coffee capsules Marcilla, Arome L’Espresso, compatible with Nespresso, Nestlé in Switzerland has launched a new product concept of diversifying the Nespresso BabyNes. BabyNes are dose capsules for baby bottles up to 3 years. 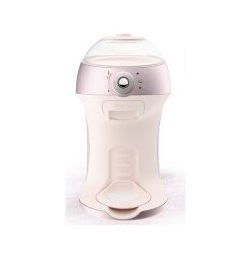 It uses a hybrid device that looks like Nespresso coffee machine and baby bottle warmer. The device detects the capsule and dosed water and temperature required. All those parents who wake up to prepare the bibe of 3 am, we pay what we asked for to prepare a capsule with a single dose bibe in 1 minute! For now, BabyNes is only available in Switzerland. It is a very good example of how to react. Nestlé has held a monopoly with the capsules dose of coffee. Nestlé position again alone in a dose new product market, and will enjoy its leading position. Unfortunately, all areas where we know not react as quickly to new threats. One area I know well is the optics in Spain. Independent opticians have felt threatened by big chains. With a very aggressive marketing, they have pushed prices down. Currently, a new threat is emerging which are the opticians in Internet, you can buy monofocal glasses hardened and anti-reflective treatment for 39 € + VAT. This threatens not only the independent optical but the big chains because it totally changes the paradigm of buying glasses and trivialized. 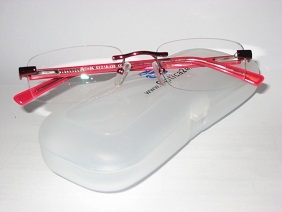 You can buy some prescription glasses from the comfort of your home without leaving it. To defend yourself from an online competitor, you must be online and you need tools to help you. The main advantage for the independent optician is its proximity to the customer and the knowledge of your market. This knowledge should be managed with a fundamental tool that is the specialized optic CRM. In Spain there are very good optic CRM’s, they should allow our strategy on-line. They should enable us to maintain close contact with customers micro-segmenting the different targets based on your criteria. Advancing marketing strategy 2.0, we can not forget social networks and / or professionals. We can not disregard some tools as powerful as Facebook, Twitter, LinkedIn, Xing etc.. Each with its own characteristics, but are essential means to reach our customers and build brand image. 2.0 The marketing campaign allows us to microsegments and managed so as to maximize the ROI of the resources used. Do you want to know more about how to design a strategy based on marketing ecommerce 2.0? Contact me at manuel.montanes@gmail.com or http://es.linkedin.com/in/manuelmontanes and design the most convenient strategy.